This special ops field proven BRAMOR C4EYE UAS line is appropriate for operations where real-time or near real time video observation and surveillance capabilty is of utmost importance. With an endurance of up to 3 hours, a standard data and payload link of 40km, or the optional MANET/MIMO digital communications capabilites. From the official YouTube channel for NATO Joint Force Command Brunssum. The EYE-X EO/IR/laser illuminator gimbal brings the capabilities of much larger UAS systems to the tactical level. Equipped with a 10MP visible light sensor and an industry benchmark thermal imagery uncooled micro-bolometer with an optional laser illuminator, it is capable of detecting, tracking, following and geo-locating targets, objects and features, infrastructure, positions and estimating maneuvers, day and night. It is the sensor of choice for institutional and sovereign customers needing immediate actionable intelligence. 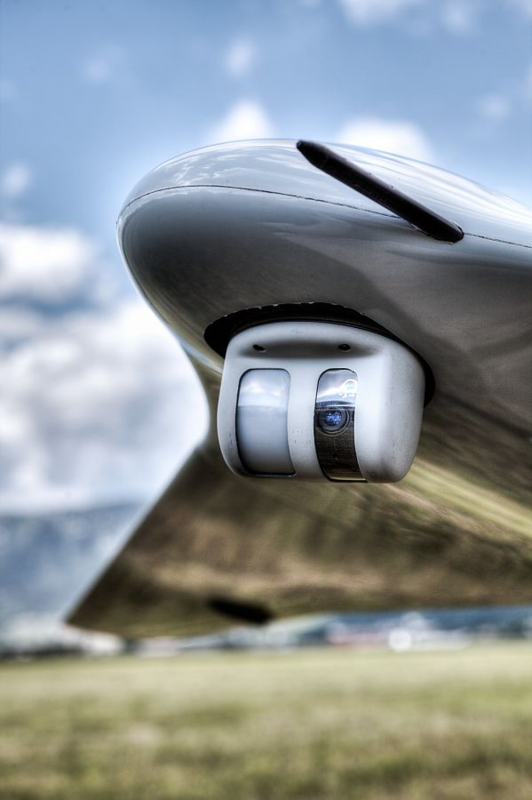 The system consists of the air vehicle with a EYE-X sensor, a foldable portable takeoff catapult and rugged ground control station. The system is highly mobile and fits into a MILSPEC, rain resistant backpack with the GCS embedded industry standard rugged package and is designed for fast deployment, flight ready in less than five minutes. It can be safely operated by single operator/pilot in command.